Sometimes, we tend to hate someone due to the certain reason but while we’re facing the same difficulty, we will stick together and help each other without human intervention. Therefore, I believe that we can gain more sympathetic and understanding between each other during the tough times. As above, it is a picture that I found in the GenPlace Forum. 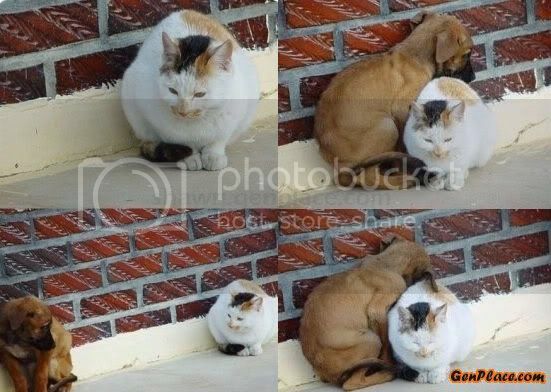 It showed a kitty and a puppy try to stick closer to keep them warm. As you know, Cold weather can be hard on animals but during the sunny day, I deem that they will try to chase each other. Anywhere, those pictures really adorable and interesting, just to share.